Relax on the shores of Panama City Beach with a luxury timeshare unit at Marriott's Legends Edge at Bay Point. Browse affordable timeshare resale and rental postings today with SellMyTimeshareNow.com. 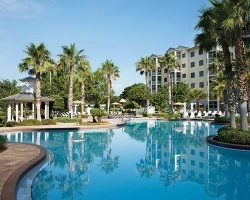 Nestled along the waters of Saint Andrew Bay, the Marriott Legends Edge at Bay Point resort brings all the warm weather and sunshine of the Panhandle to you. Just a few minutes from the famous Panama City Beach and with a wonderful proximity to local attractions, you'll find a complete vacation experience at the Legends Edge. On-site amenities at the resort include a full-service fitness center, a swimming pool, and free WiFi and parking. Close to Bay Point Resort Golf Club and St. Andrew's State Park, you'll have no shortage of things to do and see during your stay at the Marriott Bay Point resort. Accommodations at the resort come in the form of well-appointed two-bedroom villas that overlook the resort's expertly-maintained grounds. 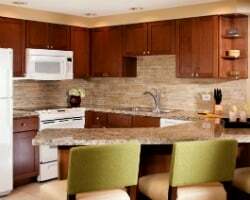 With a variety of desirable on-site amenities like full kitchens, living and dining areas, and up-to-date entertainment systems, everyone in your group will have enough space to be comfortable. Perfect for families or other groups of up to eight, you'll know that you've arrived on vacation as soon as you step through the door. 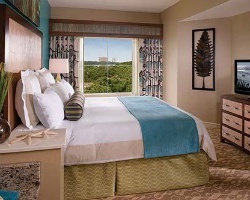 Are you ready to secure your very own accommodations at the Marriott's Legends Edge at Bay Point? Fill out the form on this page or call a representative at 1-877-815-4227 to learn more about ownership opportunities at the resort. Buying a timeshare resale at this Panama City Beach Marriott resort will allow you to embark on fantastic Florida vacations for thousands less than what others pay. Unlike traditional timeshares which have high costs that end up breaking most travelers' budgets, timeshare resales are affordably priced because they are sold directly by current owners. You can find the same great villas for prices up to 70% less than retail costs, allowing you to save big on yearly accommodations at the Marriott Legends Edge. Available in both deeded fixed and floating weeks, resale intervals at the resort are spread throughout Marriott's Silver, Gold, Platinum, and Platinum Plus seasons. You'll be able to find the perfect unit size, ownership type, and price point that matches your individual vacation preferences. A resale could also be your ticket into the Marriott Vacation Club. The Legends Edge at Bay Point resort is affiliated with the Marriott Vacation Club, one of the world's best timeshare brands. Resale buyers at the resort can begin making reservations using their deeded Marriott week immediately, but an opportunity to upgrade further into the club could yield more exclusive benefits and perks. Upgrading to the Marriott Vacation Club Destinations program could enable points-based ownership for your timeshare, and could also allow you to book accommodations at other Marriott resorts through internal exchange. You can pair your resale at the Marriott Legends Edge at Bay Point with an Interval International membership to travel the whole world. As an Interval affiliate, you can deposit your Panama City accommodations into an exchange network of thousands of properties, and trade for stays at comparable resorts across the globe. Furthermore, the Legends Edge at Bay Point holds a Premier resort rating from Interval, noting its high quality accommodations and amenities. This Bay Point Marriott resort features a dazzling array of on-site amenities and services designed to complement your Panama City vacation. Lounge by the resort's swimming pool or stay on top of your fitness goals at the resort's exercise facilities. Visit the on-site marketplace to pick up quick essentials for your stay, and don't forget about the resort's free parking, perfect for storing a rental car to embark on day trips. The area around the resort is full of things to do and see, starting with Panama City Bridge just a short trip from the resort's grounds. You can also find jetskiing, surfing, and sailing excursions out on the Gulf in the area, as well as deep sea fishing trips. Hit the links at any of the area's top golf courses, like the Bay Point Resort Golf Club or the Hombre Golf Club. Natural attractions like St. Andrews State Park put the pristine Panhandle beaches on center stage, while the shopping at Panama City Mall is a paradise for any shopaholic. Already Own at Marriott’s Legends Edge?